Staring at storks on summer’s day in Volubilis, Morocco | Oh, the Places We See . . . 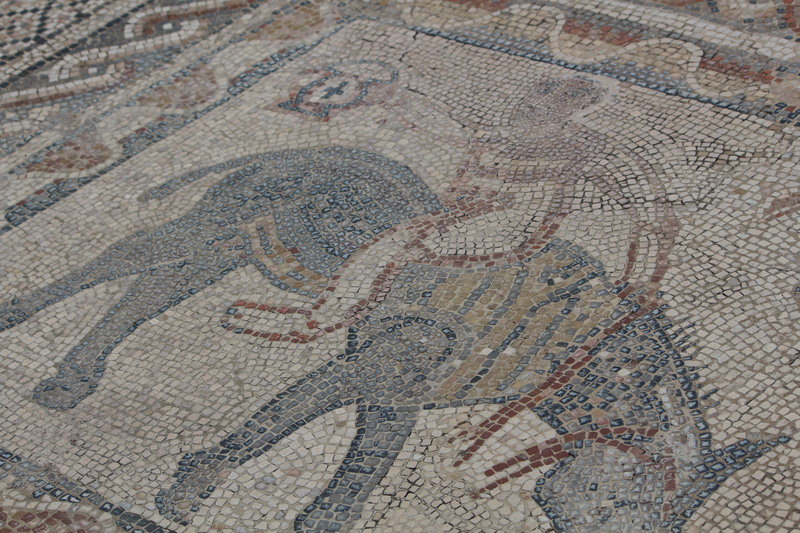 This entry was posted in Marvelous Morocco, Morocco, Photography, Travel and tagged Morocco, mosaics, stork, stork nest, storks, Volubilis, World Heritage Site: Volubilis. Bookmark the permalink. Volubilis is another example of how diverse Morocco’s landscape is. Your pictures are beautiful by the way! Thanks for the compliment on my photography. I do try, but I’m no professional by any means. And yes, Morocco’s landscape is diverse. We loved Volubilis. When you leave the hectic sounds of the cities, it’s nice to come to a place steeped in history where you can roam quietly and observe nature, people, storks, etc. Thanks for visiting! 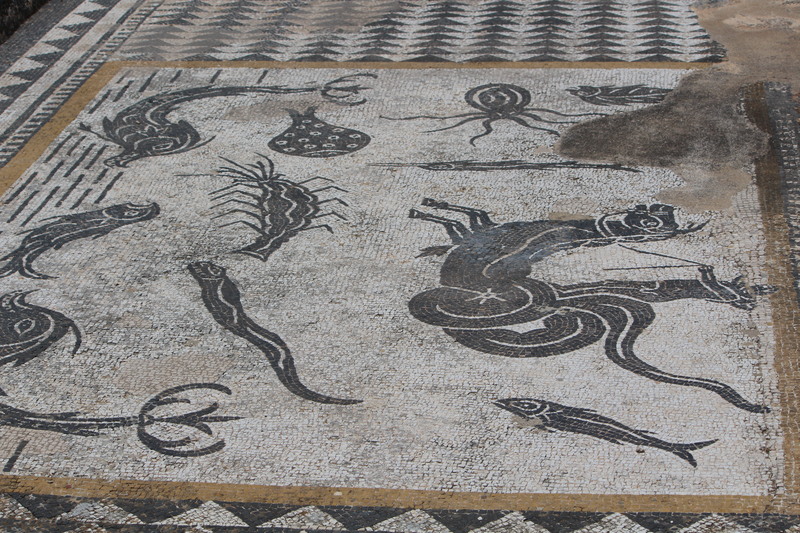 You’re right about the beasties in the mosaics. In fact, a lot of things were odd, unusual, rather surreal, really. But storks — just awesome all around!!! Couldn’t take my eyes off the storks. The guide had to nudge us to get us moving — we were spellbound! Sounds like the guide should program in more ‘stork-watching’ time. Grin. Can you imagine? One never knows what they are going to find and see on a vacation! Fabulous! One of the best surprises we’ve ever had on a vacation! And the storks must have charmed all who were there. Most everyone was looking up!!! The only time we have seen them was in Germany and it is quite fun to discover them! We’ve now seen storks in Romania and Morocco. Who knows where we’ll see them next, if at all. But what an image I still have in my mind of those huge nests, the birds within them, and the way all of us tourists were just staring at the storks!!! I know ! Wonderful right! I look forward to your next adventure! Thanks. It really just unfolded so unexpectedly. But how fortunate for us to be there during storking season!!! The storks sure know how to pick a place to raise a family! Pretty nice digs, for sure. Not just any ol’ town — a rather historic Roman adventure, if you will. 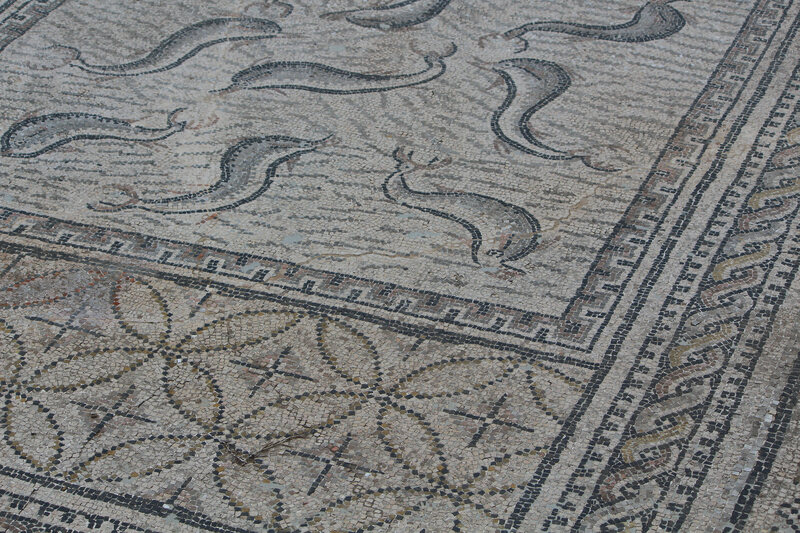 We loved the whole of the place — the quiet, the mosaics, and, of course, the storks! Thank you for the fascinating tour, Arusha! Great captures. I love the photos of storks. We were mesmerized by those storks — mainly because we don’t see them at all where we live. I could stand there and watch all day. Since then, we’ve seen nests in chimneys and atop buildings. 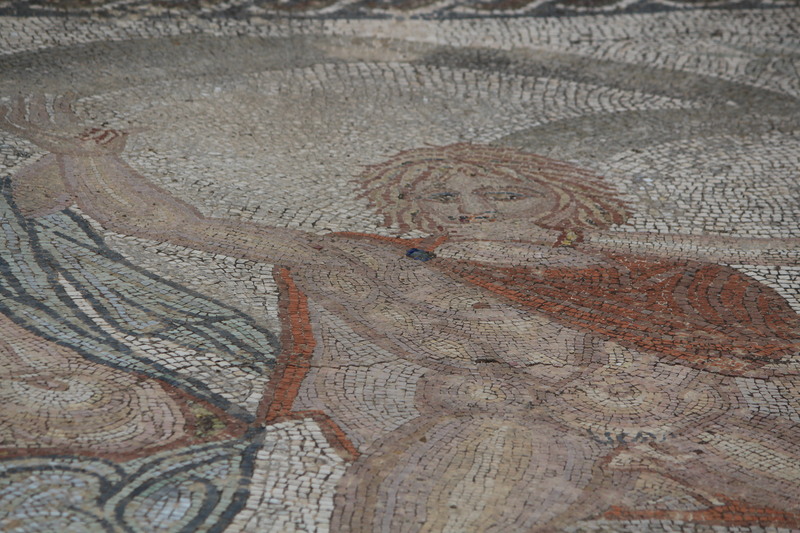 We started looking in earnest after this visit to Volubilis. Pretty neat! LOVED reading this post! Oh lucky you to experience it! Thanks for taking a look at Volubilis! It was one neat place to soak up the history of the area and spy on storks going about their daily business. Oh, how I’d love to go back!!! That tower of storks is amazing. What a great photograph and what a great memory for you. I feel the need to get to Volubilis!! Sue, you would love Volubilis! Plenty of opportunities to take pics — and all in a tranquil setting. I wouldn’t have picked it out of a tour guide, but our travel agent suggested it, and we were stunned at the great pieces left behind. Sadly, I don’t think I’ll get there, but it’s on the list ‘in case’! Can I ask how you got there – were you staying near? Sue, we stayed in Fez and traveled to both Meknes and Volubilis one day. I think it takes about an hour to get to each town, but oh, what memories we have of both places. We love ancient architecture, and they both filled the bill! We stayed in Riad Fes, a place we can highly recommend for its tasteful renovation, architectural beauty, and dynamic service. Oh, thank you – it certainly worked for you!